1-on- 1 training is personalized workout programming specifically tailored to help meet our clients needs and achieve all ambitious fitness goals in the most efficient and effective manner. All training sessions will be led by one of our highly qualified and experienced coaches. 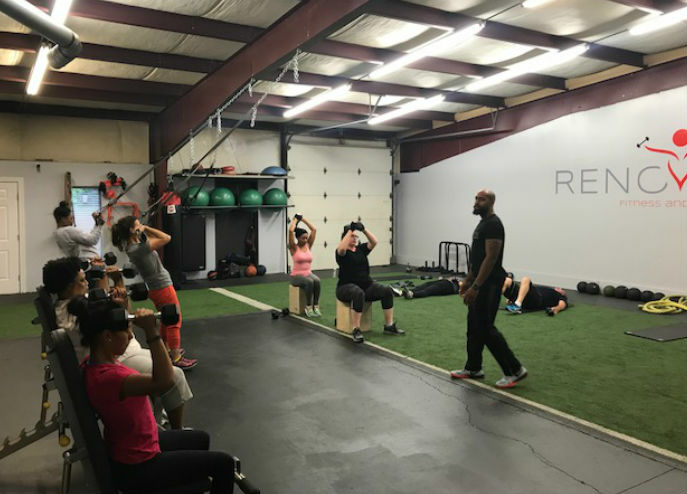 Group Personal Training (GPT) is personal training in a group setting. The workouts are designed to meet the individual needs and wants of all our members, regardless of fitness level. EVERY GOAL MATTERS! The atmosphere is always supportive, motivational and energetic. All sessions are led by one of our highly qualified and experienced coaches who will guide you to your goals safely. Semi-Private Training (SPT) is designed to give you the best of both worlds. (SPT) offers the same individualized programming for your needs, at a great value. 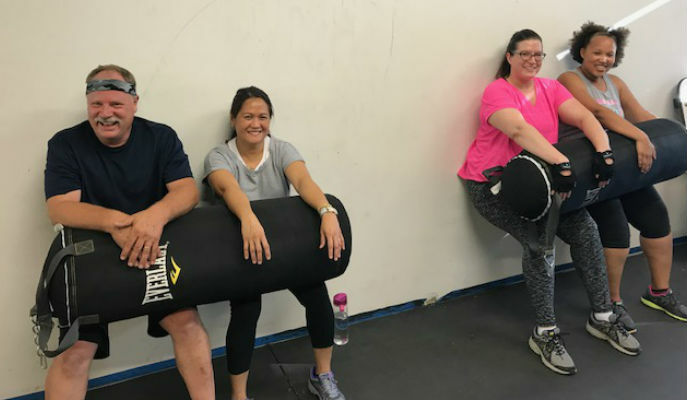 With SPT, you’ll be training in a group of 4-8 other SPT clients at the same time which leads to workouts that are dynamic, motivating, and fun! Semi-Private Training is a fantastic training method with high energy and great value for those who wish to achieve their fitness goals alongside peers who share similar goals. Sign up today for Semi-Private Training! Find the right membership that fits your needs and goals!